Since the dawn of human civilization, constant need of human expansion set the army of explorers to discover new lands and new routes to travel across the unfamiliar terrain. Those early periods of exploration proved to be instrumental in the future, and they paved the way for all the future explorers that imagined strange lands just beyond horizon. As we look back into history, the most prominent era for the explorers was without a doubt a time between 15th and 17th century, when European countries began exploring the continents of Americas. However, those discoveries would never be made without the efforts of the ancient explorers from the almost 2000 years ago. Tales of the journeys of Skylax (who managed to circumvent Arabian Peninsula in 500 BC), Pytheas (who in 300 BC discovered England, Scandinavia and polar ice) and Alexander the Great (who explored the areas of Middle East and almost reached India) ignited the minds of medieval explorers, who set their sights on finding the water route to distant India. Under the orders of the royal courts of Spain and Portugal, organized parties of naval explorers spread beyond the Mediterranean. 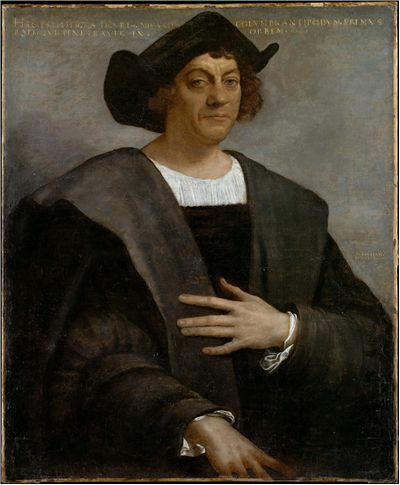 While Portugal slowly and systematically mapped the western coast of Africa in search of the way to India, Spain took a gamble and accepted to fund the mission of Italian navigator Christopher Columbus, who postulated that India could be reached by sailing to the west. Discovery of the continents of Americas, and Ferdinand Magellan's successful circumvention of the Earth created the biggest wave of human exploration and colonization our world has ever seen. Hundreds of famous explorers scoured across the oceans, in search of undiscovered lands. During that period, entire North and South America were fully mapped, with only a few isolated areas remaining uncharted (most notably fabled Northwestern Passage between Canada and Polar Ice, and endless forest around river Amazon). Sadly, this exciting time of exploration also brought destruction of several Native American civilizations, especially in Central America (fall of Aztec and Inca empires). Explorers from 18th and 19th century focused their work on last remaining two continents - Australia and Africa. During that time, English navigator James Cook traveled several times across the Pacific discovering Australia, Hawaii and searching for the elusive Northwestern Passage, focus of many European explorers was in the central and South Africa. Driven by the increased hostilities before the start of World War I, the entire continent of Africa was conquered and put under European rule. During that time, several explorers found their fame discovering new African lands, most notably David Livingstone. With every continent of the earth fully mapped, explorers of the 20th century set their sights on only two remaining unmapped parts of the world - North and South Pole. During the time today known as "Heroic Age of Antarctic Exploration", several dozen expeditions went into harsh Pole environments in search for glory and scientific discovery. Most important explorers from that time were Norwegian Roald Amundsen (who first reached the South Pole) and Robert Peary (who first reached North Pole). The last great area of exploration was created in the second part of the 20th century with the development of space travel. Driven by the increased hostilities between the United States and the Soviet Union, thousands of scientists gave the way for the new breed of explorers to go outside of the confines of the Earth and visits the worlds never before seen and touched by humankind. To this day, one of the most important moments in the history of the world is represented by the first space flight by Yuri Gagarin and famous moon landing by Neil Armstrong. Hopefully, advanced science will in the future enable the humankind furthermore to explore the distant planets of our solar system. The cradle of modern civilization was the home of countless numbers of famous explorers. From the ancient empires of Greece and Egypt to the largest organized Age of Discovery in 15th-16th century, their drive to discover new uncharted lands brought the great advancement to the entire human race. Since its discovery, explorers from America continued to explore newfound lands that surrounded them. Here you can find the tales of their great discoveries – from the famous journey of Lewis and Clark to the unexplored land of the American northwest, to the Neil Armstrong’s first landing on the moon. Exploration of our world was conducted in several big waves. Here you can found out more about those periods, from the ancient Greece explorers, birth of the 16th century Golden Age of Discovery, modern Polar exploration, all leading to the exciting 20th century Space Race which finally enabled human race to step outside confines of our Earth. Endless expansion of human civilization brought the need of exploration of unknown lands, and that drive brought us some of the greatest discoveries of humankind. Here you can find out more about the areas of Earth that received the greatest amount of attention from many explorers around the world. Arctic explorer Frederick Cook was one of the two people who claimed they were the first who reached the territory of North Pole in 1907. Even though scientific community awarded that discovery to Robert Edwin Peary, Frederick Cook remains remembered today for his exploits in the frozen north and legal battle that ensued after his return home. The Age of Polar Exploration gave us many explorers who achieved incredible deeds, but one of the most famous ones is without any doubt American explorer Robert Peary, who managed to become the first man who reached the North Pole. Learn more about his life and discoveries here. Modern explorers did not have many exploits left to conquer, but that did not stop American adventurer and author Ann Bancroft when she successfully became the first woman to reach both North and South Pole on foot and sleds. Learn more about her life here. History of the colonization of American continent cannot be said in full without mentioning the life and exploit of the adventurer, explorer, and the United States folk hero Daniel Boone, who was instrumental in colonization of the territory of Kentucky. During the very end of the era that is today remembered as Heroic Age of Antarctic Exploration, one naval officer and explorer managed to distinguish himself easily. Here you can learn more about the life and exploits of Richard Byrd. Over the course of the life of American explorer, researcher and sailor Donald Baxter MacMillan, he managed to be a part of over 30 missions to the frozen Arctic and surrounding the North Sea. History of the exploration of Antartica cannot be entirely said without mentioning the exploits of the Welsh Australian geologist Sir Edgeworth David who had close ties with many famous explorers of his time and had personally led several missions on the frozen continent. Polar explorers come from many countries around the world, but Japan has only Nobu Shirase, who has managed become part of the exploration effort of Antarctica in early 20th century. Read more about his efforts here. Estevanico was one of the first slaves ever brought from Africa to the New World, where he served on an exploratory mission in Florida where almost entire expedition died and only a few members managed to survive after long years of travel and hardships. Modern history remembers James Cook as one of the most important naval officers of the British naval fleet. During his life, he performed several expeditions in the Pacific, discovered Hawaii and tried to discover way through Northwestern Passage. England was a home of many Polar explorers, and Vivian Fuchs was one of the most famous ones. During his life, he managed to become the third man who managed to reach South Pole. Heroic Age of Antarctic Exploration had many heroes, but one of the most famous ones was Robert Falcon Scott, who tragically died in the snow together with the part of his expedition group shortly after returning from the South Pole, which was conquered by Roald Admunsen just a few weeks earlier. Ernest Shacketon is today remembered as one of the most famous explorers of the Antarctic. During his life he led several missions to the frozen continent, managing to reach as close as 102 miles from the pole. History remembers Sir Humphrey Gilbert not only as a brother of famous Walter Raleigh but also as a very important British explorer, adventurer soldier and position who played important part in the effort of England to colonize North American continent. During the time when Francis Drake, Walter Raleigh, Richard Grenville made their numerous exploits in warfare, trading and exploration, Sir John Hawkins made name for himself by organizing defense of England against Spanish Armada in 1588 and spearheading movement of transporting slaves from Africa into the New World. Sir Richard Grenville was a cousin of Walter Raleigh and Francis Drake, responsible for several victories against Spanish naval armadas and establishing English colonies in the New World. The life of the naval explorer in the late 16th and early 17th century was best recorded in the popular book “Voyage into the South Sea” that was written by the famous English Admiral, privateer, and explorer Sir Richard Hawkins. The quest for mystical city of El Dorado was a much-publicized tale that attracted many explorers to organized expeditions to Americas. Sir Walter Raleigh was one of those explorers, but his greatest claim to fame was not his discoveries, but his books that described exaggerated events from his adventures in North America. History today remembers English-born Douglas Mawson as one of the most famous explorers of Antarctic, who lived most of his life in Australia. Here you can learn more about his life and the way he explored Antarctica. During his life British naval officer and explorer John Ross visited both Arctic and the South Pole, but his biggest claim to fame arrived during the years when he tried to find the route through Northwestern Passage. More than 100 years before the first explorer set his foot on the North Pole, the early exploration of the North and the South Pole started to be realized with the efforts of the many influential explorers. One of the most famous one of them was John Franklin. British naval officer Sir George Back managed during his life to distinguish himself in both military careers and as a naturalist and explorer. His efforts unveiled new unexplored area of the far north sea, survive harsh winters on the sea and return home in almost completely damaged ship. 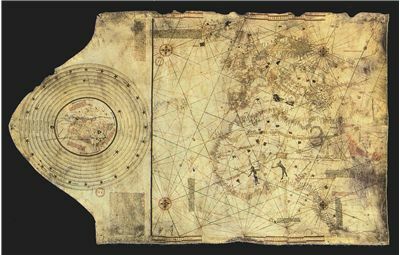 Juan de la Cosa remains remembered today as naval navigator and the creator of the famous map of the world called "Mappa Mundi". He crated that map sailing on his ship "Santa Maria" that followed Columbus on his journey to the shores of Central America in 1492. In the early years of the 16th-century Spanish captain Sebastián de Ocampo proved to the world that the Caribbean island Hispaniola (now known as Cuba) was not the part of the larger continent, but that is island instead. Hernando de Soto was a famous Spanish Conquistador who managed to claim his spot in history by exploring territories in Florida, southeastern US, Mississippi and the destruction of Incan empire under the leadership of Francisco Pizarro. Juan Ponce de Leon is a famous Spanish Explorer, who has managed during his life to claim his spot in history by being one of the first explorers to enter the Gulf of Mexico, explore and colonize Florida, and more. Learn more about his life here. Many Spanish explorers distinguished themselves by making discoveries in Central and North America, but Juan Rodríguez Cabrillo will remain forever remembered for his exploits in charting the coast of California. 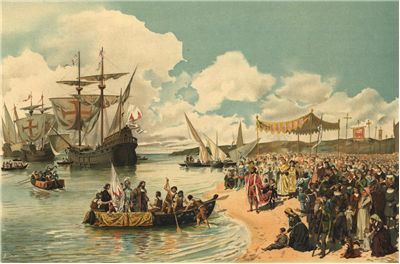 Portuguese nobleman, explorer, and military leader Pedro Álvares Cabral is remembered today as the first European who landed on the coast of South America, opening that continent to the expansion of European settlers. 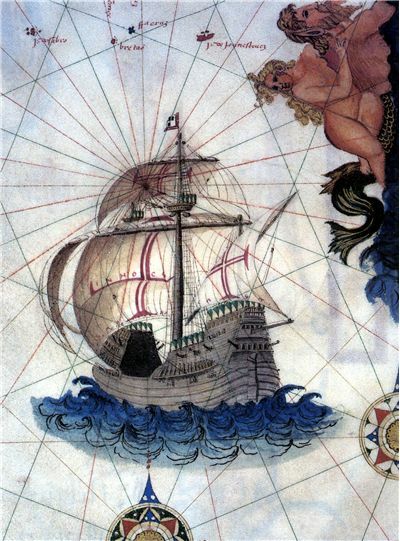 Finding the sea trade route to the India was a life goal of many Portuguese explorers toward the end of 15th century. 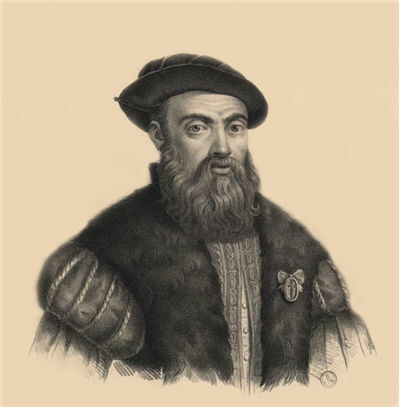 Diogo Cão did not manage to achieve that aim, but his discoveries paved the way for Vasco Da Gama. We today remember Ferdinand Magellan as one of the most important sea navigators of all time, with his three year mission to circumvent the world by sea on for the first time managing to change the history of our world forever. Learn more about him here. Italian explorer, cartographer, and navigator Amerigo Vespucci has played significant role in the history of the Age of the Exploration by managing to be first to come to the conclusion that newfound New World on the west of the Europe is a standalone continent and not a part of Asia. Early 16th century was filled with numerous explorers who have started charting the coast of New World in search for the way to India. One of the more famous navigators from that time was Italian explorer Giovanni da Verrazzano who mapped northwestern coast of the United States and Canada. 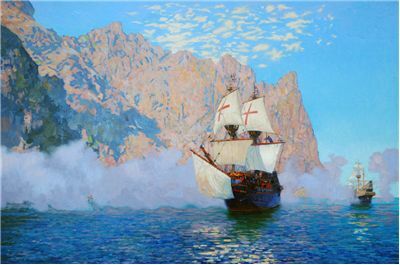 Italian navigator John Cabot became the second European person to land on the New World while sailing under the flag of England. Here you can find out more about his life and discoveries. Early exploration of the North American continent cannot be said without mentioning the exploits of the famous French Explorer Samuel de Champlain, who was responsible for naming the country of Canada and igniting colonization of its territory. Among many explorers of the North American Continent, French Jesuit missionary Jacques Marquette managed to distinguish himself for the exploration of the northern parts of Mississippi River and to discover of the location where city of Chicago is today located. Discovery of the New World was often attributed to the Christopher Columbus, however history tells us that almost 500 earlier one Norse navigator (Leif Ericson) managed to travel to Iceland, Greenland and eventually land on the shore of the Baffin Island off the shore of Canada. Learn more about his life and discoveries here. Louis Joliet is a famous Canadian explorer who was instrumental in the discovery of territories surrounding the river Mississippi, and locating the area where the later city of Chicago was formed. Vast majority of polar explorers were only part of few expeditions to frozen continents, but only a few spent their entire life visiting them. One of those explorers is Robert Bartlett who went to Arctic more than 40 times. Scotland explorer John Rae managed to secure his place in history with his numerous journeys to the Canadian northwest where he tried to map Northwestern passage, and also for being the first person who found resting place of the doomed Franklin expedition. Alexander Gordon Laing is today remembered as one of the casualties of the early 19th-century exploration of Africa. However, before he died, he managed to become first European to reach the isolated city of Timbuktu. Eudoxus of Cyzicus is 2nd century BC Greek sea navigator that was part of several exploratory missions in Indian Sea and the coast of Africa. Read more about his exploits here. George Vancouver was great British Navy officer and navigator who is today best remembered by the Canadian city of Vancouver which carries his name. Here you can read more about his life, exploratory missions, and other achievements. John Smith is today remembered as one of the most celebrated figures in the early history of North America. Here you can learn more about his exploits in establishing a first English settlement in the United States and other adventures. Joseph Banks is remembered in the history of World and England as one of the most influential botanists and scientific patrons of his time. 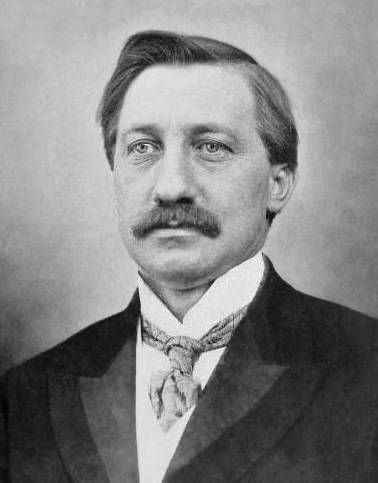 During his long life, he was invested in both personal exploration efforts and managing several notable scientific institutions. Sir Alexander Mackenzie is a famous Scottish explorer who managed to become first European, who performed overland crossing of North America from East to West Coast above the territories of Mexico, predating the famous expedition of Lewis and Clark for ten years. Giosafat (Giosaphat or Josaphat) Barbaro was one of the most-traveled members of Venetian state whose travelogues and articles managed to paint a very interesting picture of Central and Eastern Europe in the 15th century.